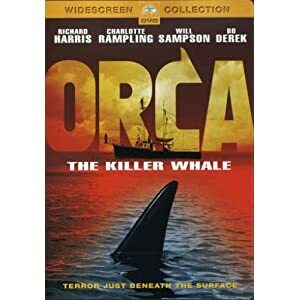 Orca stars Richard Harris and Bo Derek, among others, in this underrated man vs. animal film. This movie came out shortly after Jaws and people thought it was a Jaws knockoff, but it's different and deserves a chance. It's very well done - especially the underwater scenes. Eerie music throughout creates an engaging and suspenseful movie that will make a fun evening of watching.